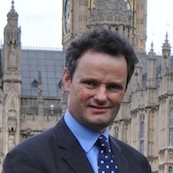 A1 Flue Systems has welcomed a new parliamentary bill to reform retentions tabled by Conservative MP Peter Aldous. The bill had its first reading in the House of Commons this week and seeks to amend the 1996 Construction Act to ensure that retention money is held in a formal deposit protection scheme. Currently, construction companies withhold approximately 5% of the value of a contract as retention money until a project has been completed. They often use every trick in the book to avoid paying this, months and years after the project has finished. Our Director, TJ Duncan Moir, is delighted that the proposed ‘Aldous Bill’ might finally help to stop an issue that blights the industry. “We’re delighted that Peter Aldous MP’s bill is being introduced under the Ten Minute Rule in the House of Commons,” she said. “To explain, if we win a £1m project, £50,000 is held as retention money by the construction company to be paid upon completion of the project. However, most companies find excuses not to pay it when a contracted has been completed – and we have a real fight on our hands to get it. That £50,000 could be the difference between making a small profit and making a loss on the project. The proposed bill has attracted cross-party support, with the full permitted complement of 12 sponsoring MPs including Sir Henry Bellingham (Conservative), Barry Sheerman (Labour), Caroline Lucas (Green Party) and Alan Brown (SNP). More than 20 trade associations for the different sectors of the construction industry have also signed an open letter to demand action on the issue of cash retentions in the construction industry. Mrs Duncan Moir is keeping her fingers crossed for the success of the scheme, as it will give her business a big boost. “We understand the reason why construction companies hold retention money until they are satisfied that a project has been completed correctly, but we currently have no assurance that the money can be recouped – and this causes massive headaches for SMEs like us,” she added. The bill gets its second reading on 27th April.